BATASAN, Quezon City – Muslim leaders committed their all-out support to the passage of House Bill (HB) 5343 or the pending bill in the House of Representatives that seeks to establish the Autonomous Region in the Cordillera (ARC) to sustain efforts to preserve and protect the rich culture and traditions of the indigenous peoples (IPs) in the region. House Deputy Speaker and Maguindanao 1st District Rep. Bai Sandra A. Sema, who personally attended the 1st Congressional Forum on Cordillera Autonomy held here Wednesday, underscored the Bangsamoro and the Cordillera share commonalities relative to the failure of the two areas in the country to be invaded by colonizers and the fact that the Muslims and the Cordillerans were able to preserve and protect their distinct culture and traditions for centuries. While assuring the support of Muslim lawmakers to the passage of the Cordillera autonomy bill, Sema also solicited the support of Cordillera lawmakers to the enactment of the revised version of the Bangsamoro Basic Law (BBL) which was already filed in both chambers of Congress so that the two distinct areas will realize autonomous status way ahead of the planned shift to federal form of government by the present administration. The Maguindanao lawmaker asserted that in the case of the Bangsamoro territory, it will remain as part of the Philippines contrary to the earlier proposal that seeks for independence and autonomy remains the best option to address the historical injustices committed by the national government against the Muslims and the Cordillerans during the previous administrations. 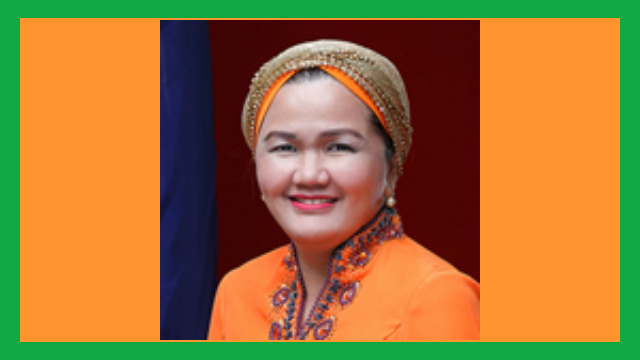 “We join the clamor of our brothers and sisters in the Cordillera for the enactment of their proposed autonomy law side by side with the passage of the BBL so that we will be able to reap the fruits of the constitutional provision that mandates the establishment of autonomous regions in Muslim Mindanao and the Cordillera,” Rep. Sema stressed. Commissioner Jose Lorena, a member of the Bangsamoro Transition Commission (BTC), offered the needed assistance to the Regional Development Council (RDC) in the Cordillera for the conduct of small group discussions among autonomy advocates to share their best practices in working out the discussion of the proposed Cordillera autonomy bill and the BBL in both chambers of Congress. He added that the realization of autonomy in Mindanao and the Cordillera will definitely contribute in enhancing the development potentials of the two areas in the country because they will have the chance to craft their own programs and projects beneficial to the greater majority of the populace with lesser restraint from outside forces because they better know the situation in their places compared to the leaders in the central government. Commissioner Lorena said it will still be best for both chambers of Congress to deliberate the Cordillera autonomy bill and the BBL simultaneously because it will be evident that the Cordillera autonomy bill is far less contentious compared to the BBL, thus, it must already be acted upon by the lawmakers. The BTC official said that the proposed small group discussions among Muslim and autonomy advocates will definitely provide the crafting of the appropriate interventions on how to lobby in Congress for the immediate enactment of both laws way ahead of the planned shift to federal government.